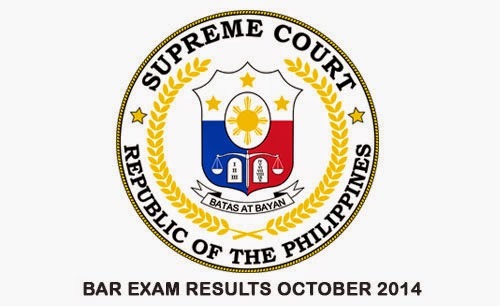 Congratulations to all Philippine Bar Passers who took the exam on October 2014. The list of passers with a surname starting from A, B, C, and D are listed on this page. Supreme Court Hon. Diosdado M. Peralta is the committee on bar examination on October 2014. The Philippine Bar Examination has 8 law subjects that need to be passed by all takers. University of Sto Tomas is the usual venue of the toughest professional examination of the country. Please standby here while we update this page for you. Comments or suggestions about "2014 Bar Exam results Philippines Bar Passers (A – B – C – D)" is important to us, you may share it by using the comment box below.